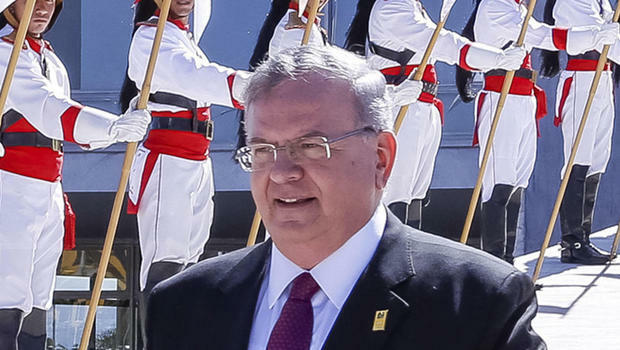 Greece’s ambassador to Brazil was murdered in a plot hatched by his Brazilian wife and her police officer lover, who confessed to the crime, officials said Friday. Young daughter Amiridis had previously served as Greece’s consul general in Rio from 2001 to 2004, where he met Oliveira. Francoise Amiridis, the wife of Greece's Ambassador to Brazil Kyriakos Amiridis, arrives at a police station to be interrogated in connection with her husband's disappearance in Belford Roxo, Brazil on December 30, 2016.